Ever since Rob sent the first email about forming Devon Record Club, it has been my instinct to play this (almost) lost 1972 psychedelic rock… masterpiece? Classic? Slice of lunacy? Five years ago the superlative Soul Jazz Records put out the wonderful Tropicalia compilation. Tropicalia was a late 60s Brazilian movement which Os Mutantes (The Mutants) were forerunners of alongside the likes of Gilberto Gil, Caetano Veloso, and Gal Costa. The artists fused British Invasion style pop a la The Beatles, Byrds, Monkees, etcetera, with more traditional Brazilian sounds like Bossa Nova and Samba. The results were fantastic, and after playing the compilation endlessly I bought reams of albums by the leading artists. Rita Lee was a member of Os Mutantes, and released a debut solo album in 1970. Hoje É o Primeiro Dia do Resto da Sua Vida (The First Day Of The Rest Of Your Life) was actually written and recorded as an Os Mutantes album, but record company disputes meant it was released as Rita Lee’s second solo LP (the original lineup of Os Mutantes would splinter soon after). I wrote about the album here for Stylus back in the day at quite some length, so I wont go into too much more contextual detail or musical exegesis here. But suffice to say that Os Mutantes had an early reputation for blowing speakers with their overdriven guitars and throwing everything and anything they fancied into their extravagant mixes (bassist Arnaldo Baptista was the group’s producer, and like McCartney not shy in emphasizing his own contributions!). Hoje É o Primeiro Dia do Resto da Sua Vida, far from being a swansong, is arguably the band’s most exultantly bonkers record, swinging from straightforward songs in the Música Popular Brasileira style, like opening number Vamos Tratar Da Saúde, and the wondrous penultimate track, De Novo Aqui Meu Bom José, to crazy excursions like Tiroleite and Tapupukitipa, which are almost brain-meltingly strange, even in the experimental border regions of late the 60s and early 70s. I tasked everyone with bringing an EP alongside their album this week instead of an individual track. The EP, as a three or four (or five, or maybe more) song unit, is something I have great affection for, and that I vaguely hope these disconcerting digital times may bring back into fashion. 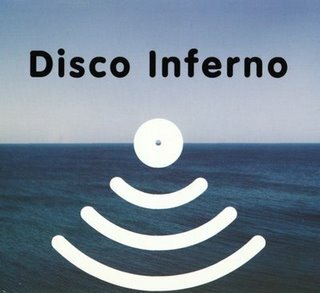 Anyway, possibly the most quietly renowned EP band is Disco Inferno, late 80s postpunk revivers turned early 90s postrock visionaries. Buying a sequencer and hooking it up to their guitars revolutionized their sound and opened up reams of possibilities, which the band enthusiastically explored across the course of five EPs and two albums from 1991 to 1996. The Last Dance EP features the title track twice in slightly remixed forms; an understated indie pop tune, it’s adorned with delicately creative production (making subtle, clever use of their sampler-love) and a joyous, sky-kissed guitar solo. More importantly, it contains the explosive and misleadingly titled DI Go Pop, which essentially recreates the apocalyptic squall of My Bloody Valentine’s You Made Me Realise entirely using sampled sounds and digital noise. Finally, Scattered Showers ties up this four-song, 23-minute collection in a beatific, yet morose, shimmering haze of sound. It’s possibly my favourite of their five legendary EPs, which Rough Trade are promising to compile onto one handy CD at some stage this year. Tom Listened: We’ve listened to a considerable amount of weird stuff already at DRC and I have regularly been hurled out of my musical comfort zone by my fellow members. 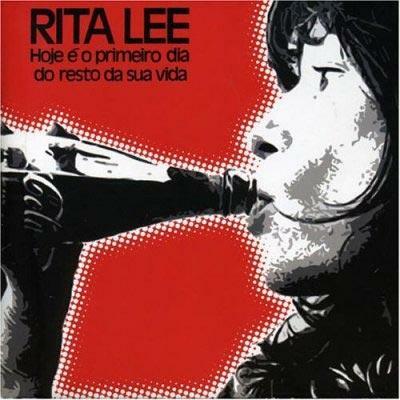 But of all the records we’ve listened to, Hoje É o Primeiro Dia do Resto da Sua Vida by Rita Lee takes the biscuit. Bonkers…completely and utterly bonkers. And really difficult to get a handle on. And yet, apparently, huge in Brazil (and pretty popular across the globe) at the time. Which says a lot about the times we live in now! This makes me think about the Beatles. I have often wondered how they would have fared if they had started thirty years later and had followed the same musical trajectory. I would have thought that Rubber Soul, the point where they really started to get interesting/challenging, would have been the point where their popularity began to wane. But, of course, that’s not how it happened in the 60s. People went with them, bought into each new twist or turn on their journey and maybe this opened their minds to such bizarre music as that on offer on this record. There is no way Rita Lee’s album would be massive nowadays; it’s far too difficult for current times and demands far too much from a modern consumer of music…hell, even a minor player (in terms of global popularity) such as tUnE-yArDs sounds predictable and linear when judged against the chaos of Hoje É o Primeiro Dia do Resto da Sua Vida. There has obviously been a marked shift in society between then and now – and perhaps we owe the previous generation (and their mind altering substances) a debt of gratitude for enabling albums such as this, The White Album, Piper at the Gates of Dawn, VU and Nico, Trout Mask Replica, Ziggy Stardust etc etc etc to burn so brightly and light the way for the innovators of future, less enlightened times to plunder. Rob listened: So, yeah, this was pretty mental. I don’t really know anything about Tropicalia beyond what i’ve heard on Radio 4 documentaries about the scene, and particularly it’s politics, so it was good to finally listen to one of it’s artefacts properly. We had fun trying top prise apart the various influences and sounds that comprised this melange of musics from around the world and we did aural double-takes as weird and wonderful noises and instruments popped and parped in just when we thought things couldn’t get more unusual. It’s interesting to hear this and marvel at how freely Os Mutantes apparently blended influences and then reflect on how relatively closed western pop and rock then became during the following decades. I hadn’t heard the DI EPs before. I love ‘It’s a Kids World’ from ‘Technicolour’ but I haven’t given that album enough time yet and I believe that it’s relatively frowned upon by aficionados of the band, which seems a shame to me. ‘The Last Dance’ struggled to reveal its subtleties amidst the distortion and feedback of a Devon Record Club evening, but if I could afford to buy it, i’d give it some more attention. All I can remember is that one of the songs really did sound like My Bloody Valentine, which seemed distinctive enough until Tom revealed his choices.